We are Boston elevator and escalator accident lawyers and we can help if you were injured in one of these accidents. Elevators and escalators are intended to assist and make human movement more efficient. They are all over including public and private properties. We find them in malls, office buildings, subway and train stations, residential towers, etc. There are an estimated 900,000 elevators and roughly 35,000 escalators in the United States. 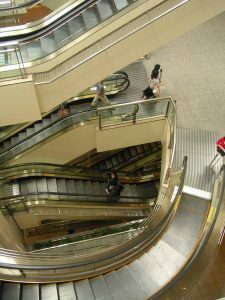 When escalators and elevators malfunction, very serious personal injuries can result. Depending on what went wrong, the injuries can range from soft tissue injuries, fractures, to even death. Plus, since elevators and escalators are meant to transport masses of people, sometimes many can be effected when things go wrong. If you were injured in one of these accidents, it is important to know what to do next, and how to protect your rights. These accidents typically involve the violation of federal and state safety regulations. Finding what went wrong in the accident and securing adequate compensation for our clients is what we do. Who Is Liable For Boston Elevator And Escalator Injuries? These accidents can be very complex. It is crucial to hire an experienced attorney who knows how to investigate what went wrong, identify all potentially responsible parties, and to find all available insurance policies in order to pursue full compensation. Contact us today if you were injured by a Boston elevator or escalator. We are Boston injury lawyers with experience representing people injured in escalator and elevator accidents. Let us show how we can help you.